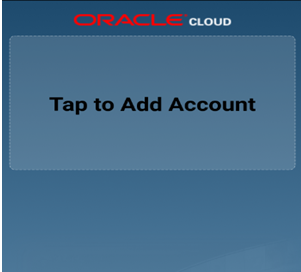 The Oracle HCM Cloud mobile application enables user to access the HCM cloud features on a handheld mobile device. Public Profile: Employees and managers can view the public profile of employees in the organization. Talent Profile: Employees and managers can view a 360-degree profile for an employee. Worker Predictions: Managers can view graphical analysis that predicts how a direct report is likely to perform. Goals: Managers and employees can track goals on the go, and provide continuous feedback using social conversations. Pay: Employees can view and download their pay slip PDF. Absences: Employees and managers can view planned absences and available balances. 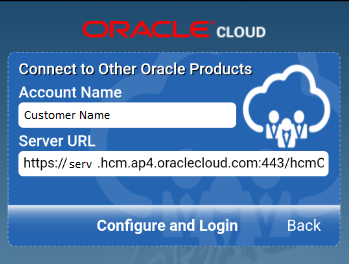 Employee Self-Service: Employees can update their biographical information and profile photo. 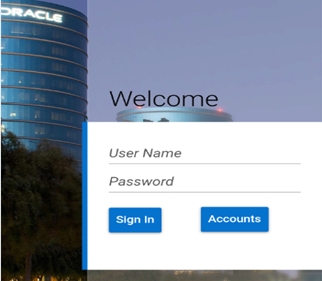 What a user can view and access is totally depends on the role being provisioned to that user. If a useris a line manager, he will see additional menu items to manage his team. 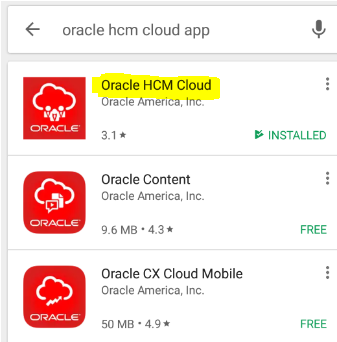 A user can install the Oracle HCM Cloud mobile application on Android or iOS based smartphones and can follow the below steps to configure the mobile application and start using it.